Having Problems with Damp in your home? If so, look no further than the Kingfisher Damp Proof Paint. This amazing damp proof membrane paint is a little-known trade secret. It can be applied to concrete, brick, renders and more. It can help to protect against water ingress by forming a damp guard liquid membrane. Our damp proof paint is also ideal as a vapour barrier. It is be utilised under plaster or renders, for balcony repairs or as a concrete surface coating. If you�re currently suffering from damp walls or have experienced it before, we understand you will want a quick resolution. This damp proof membrane paint has been extensively tested to ensure high performance, to stop dampness appearing again. Our range of damp course paint can be used both externally and internally, meeting the needs of our customers. Neutral formulation means this product can be used to damp proof fish ponds and portable water storage. Damp Guard Liquid Membrane can also be used in storage cellars where it's highly effective at keeping out seeping water. Dries to a bright fresh decorative finish which can be over-painted if required. This product is one of the best damp course paints available today due to its quality and colour options. If you are seeing signs of damp on your walls and ceilings, treat it with our damp proof membrane paint. 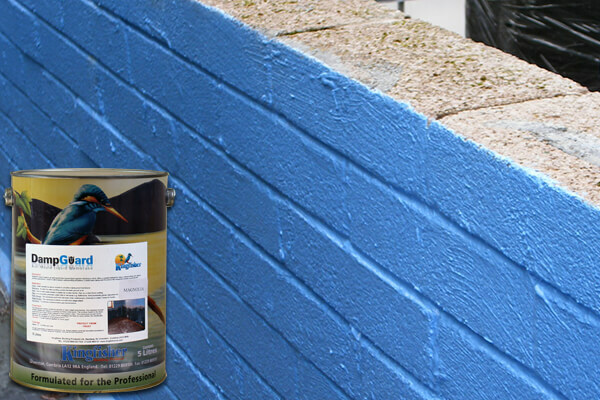 For more information regarding damp course paint, don�t hesitate to contact us.